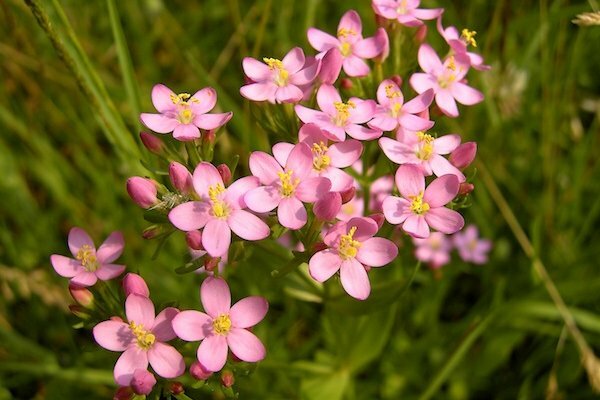 Centaury Centaurium erythraea. Centaury is widespread plant of Europe and parts of western Asia and northern Africa. The triangular leaves are arranged oppositely on the stem and the erect inflorescences emerge from the stem and grow parallel to it, sometimes tangling with the foliage. Each inflorescence may contain many flowers. It flowers from June till September.